These solitary cats have many specialized hunting adaptations. Their large ears hear the ultrasonic (very high) frequencies made by their rodent prey. 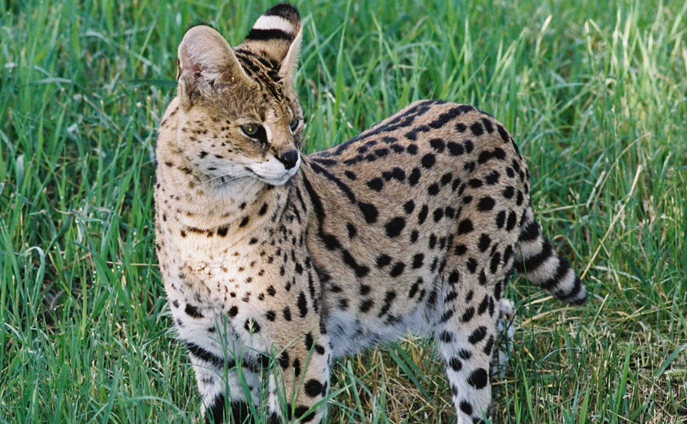 Serval cats are very skilled at digging rodents out of underground burrows using their powerful front paws. The long legs of the cat help it to see over the tall savanna grasses for signs of prey. Serval cats can jump as high as 3 m (9 ft.) into the air to catch birds in flight.